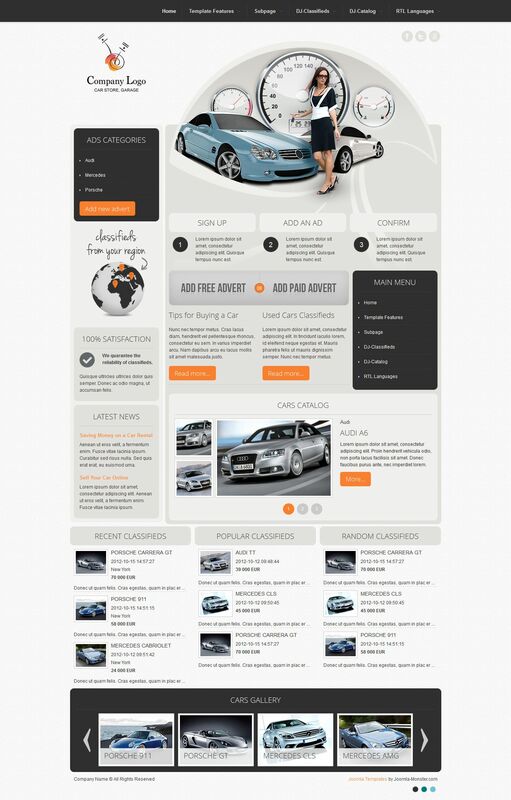 DJ Car Company - the original template on automotive topics from the creators of Joomla Monster. Excellent layout design contains 3 different color combinations, which in combination with studio extensions are perfectly blended and designed to create automotive advertising sites or portals taxi service. Brand extension DJ-Catalog2 makes possible the development, customization and implementation of the catalog with a detailed description of any vehicle separately. Adaptability boards template based on the DJ-Classifieds component provides the ability to add a variety of proposals for functional query parameters entered on the site. DJ Car Company arranged perfectly, has the speed of loading pages and support for mobile devices due to its high functionality.